Located just south of The Independence Palace, Tao Dan Park is one of Ho Chi Minh City’s largest and most serene parks known for the more than 1,000 large and mature trees that populate the space. The park is home to unique plant sculptures of various animals like dragons and tigers and replicas of Nha Trang's Cham Tower and Hung King Temple. The street Truong Dinh bisects the park, and on the northeast side of the street, you can find a modern sculpture garden. Many locals visit the park early in the morning to walk or practice tai chi, and the nearby Tao Dan Cafe is known as the “bird café” for the groups of birdkeepers who congregate here to show off their cages of songbirds. At the northern corner of the park, you can see the historic building of the former Cercle Sportif, a colonial-era French sporting club that is now the Worker’s Club, with a swimming pool and tennis courts. 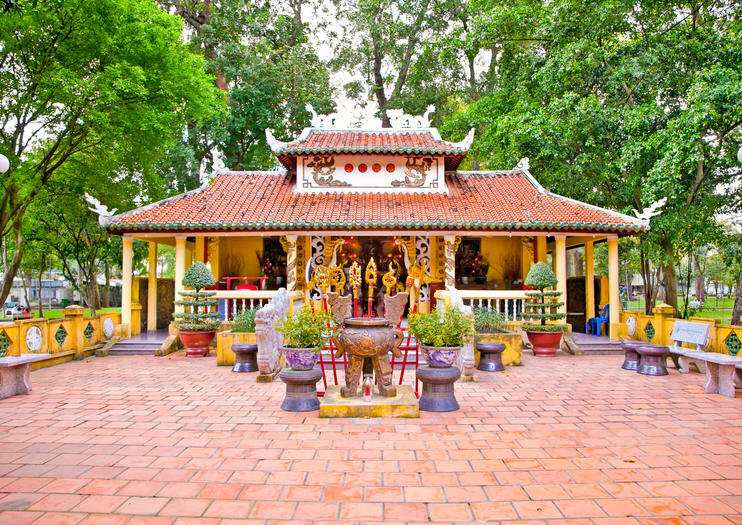 Discover the vibrant atmosphere and bustling streets of Ho Chi Minh City on this 4-hour excursion. Visit local haunts with a guide and pass landmarks like Notre Dame Cathedral and the picturesque post office. Explore the rich cultural tapestry of the city on foot and on a bicycle, passing Reunification Palace, the city's flower market, and more, while enjoying personalized attention from your guide on this small-group tour. Enjoy Ho Chi Minh City in the morning and at night on a tour that combines a classic city sightseeing tour with an evening food tour by motorbike. Discover the gems of Vietnam's largest metropolis as you visit Tao Dan Park, Ben Thanh market, Reunification Palace and see French colonial architecture at Saigon Opera House. Taste a range of authentic Vietnamese treats, including ‘pho’ (noodle soup) for breakfast, and street food dishes with beer or rice wine for dinner. This small-group tour is limited to seven people to ensure a personalized experience. On this unique tour, you’ll ride on a motorbike driven by a guide to learn about Saigon history, experience a day in the life of its residents, and witness the city’s rapid transformation. You’ll travel 22 streets in four districts, exploring different neighborhoods, visiting historical sites and colonial architecture, and tasting local food that highlights the city’s flavor. Included lunch, plus hotel pickup and drop-off make for a seamless trip.